We are glad to see you have chosen Delfland Golf Course to learn how to play golf. Underneath we inform you about the possibilities to master the game of golf in a fun and relaxing way, so you can start to enjoy golf as much as we do. Delfland Golfacademy is the place to start, really learning to play golf. 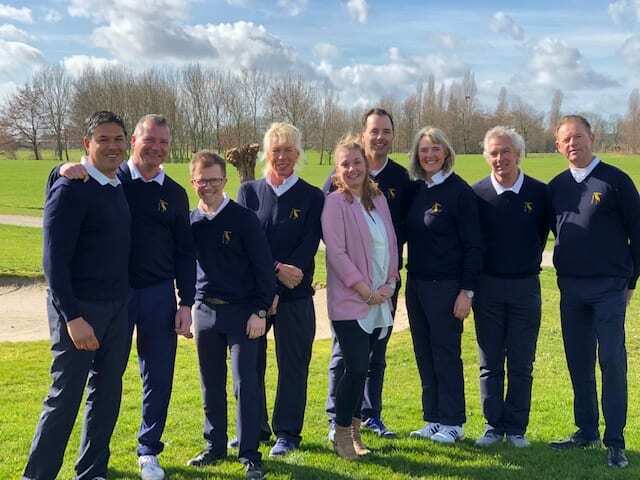 Our team of six PGA qualified golf professionals guided by our head golf professional Helen Reid, are ready to start teaching you the basics of the game of golf or help you improve your game. Beginning and advanced golfers will find multiple possibilities to take lessons. Private lessons are possible from 1 to 5 persons or you can take part in group courses or clinics. In order to enjoy the game of golf is not only taking golf lessons but mostly by practising and playing yourself for free at Delfland at the beautiful and spacious practice facilities of Delfland Golf Course. Delfland Golfacademy also offers you the possibility to become a member of the Academy for the amount of € 65,– per year. Benefits are plenty among which substantial discounts on the clinics, tournaments and for instance four times a year free lessons. If you do not have any clubs yourself, it is not necessary to buy any yet we can provide the clubs for you. Once you decide to purchase your own clubs, we have attractive offers for you in our golf shop. Your golf professional will advise you during the lessons what clubs will suit you best. For more information you can ask our Shop Manager Michiel van Dillen. All in all, nothing stops you from starting to play golf!! We wish you lots of fun with your game of golf. Do you however have any questions, please don’t hesitate to ask your golf professional or contact the Golfacademy (+31 (0)15-3807911 Option 4).